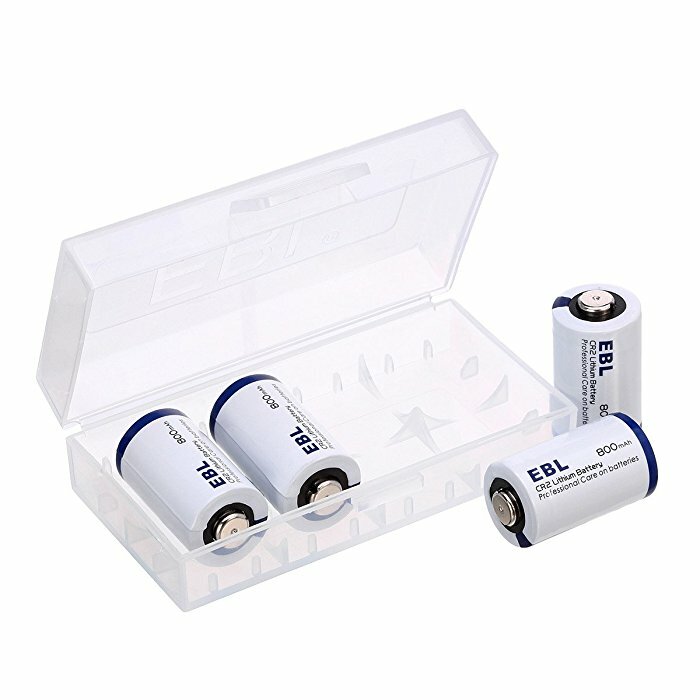 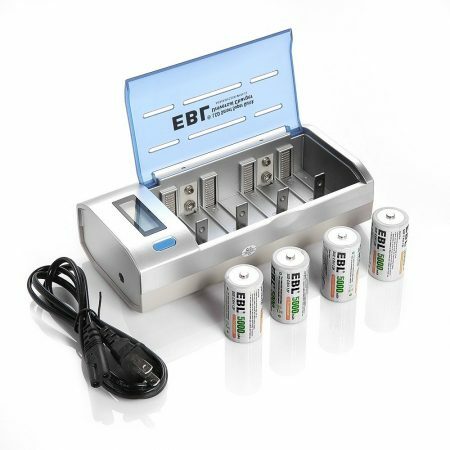 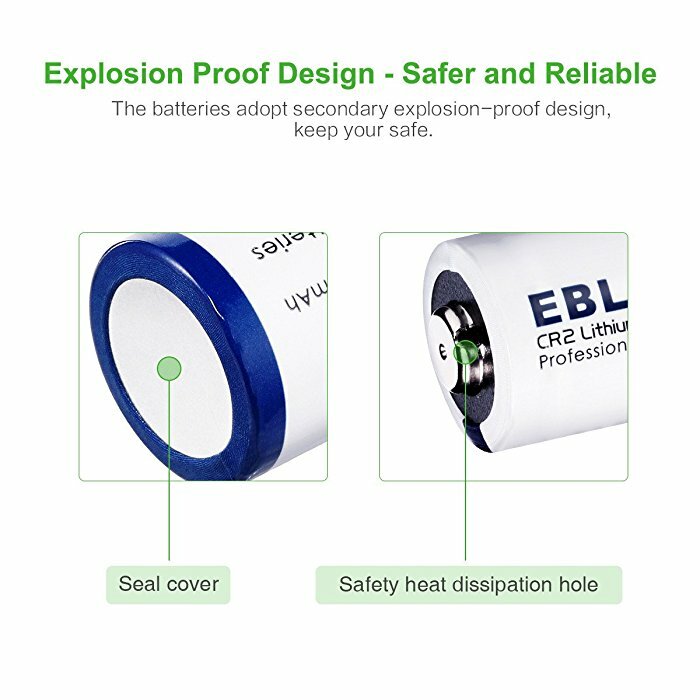 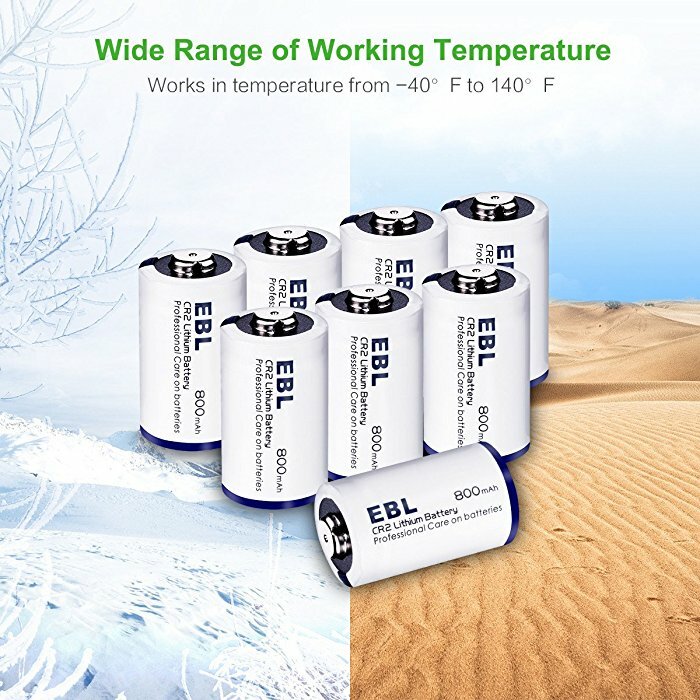 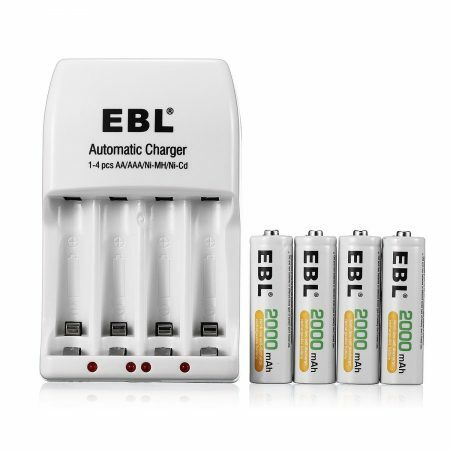 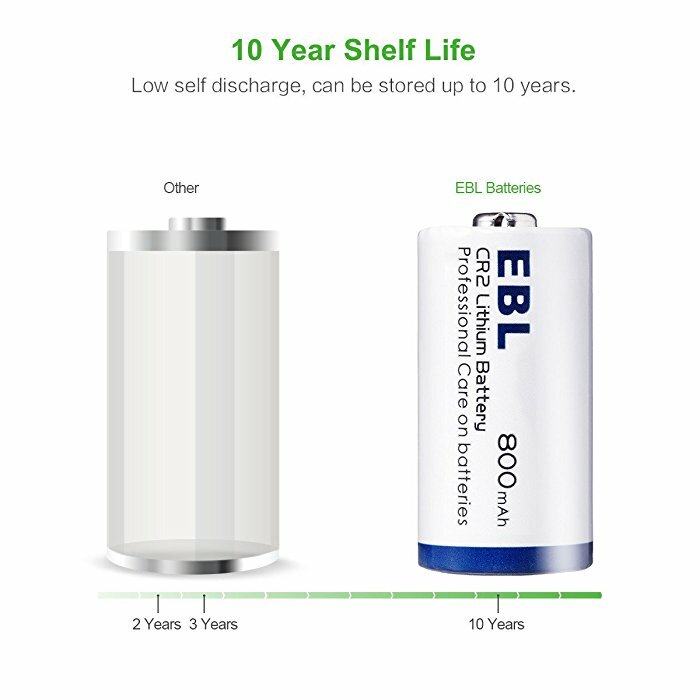 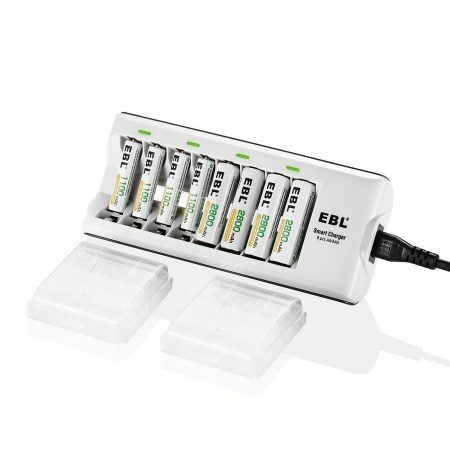 These EBL Lithium CR2 3V batteries are made up of first-rate battery cells with reliable quality. 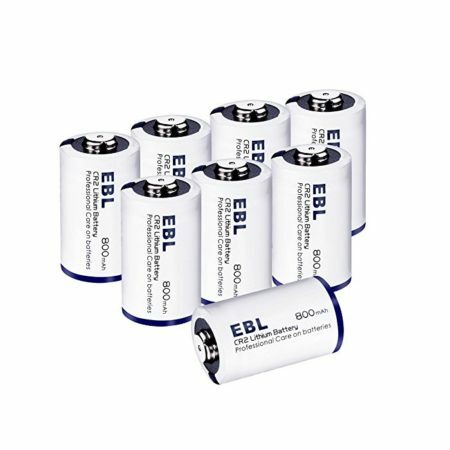 These 8-count 3.0 volt CR2 lithium batteries can be widely used for a wide variety of your household devices and gadgets. These 8-count CR2 3V batteries have improved super low self-discharge. 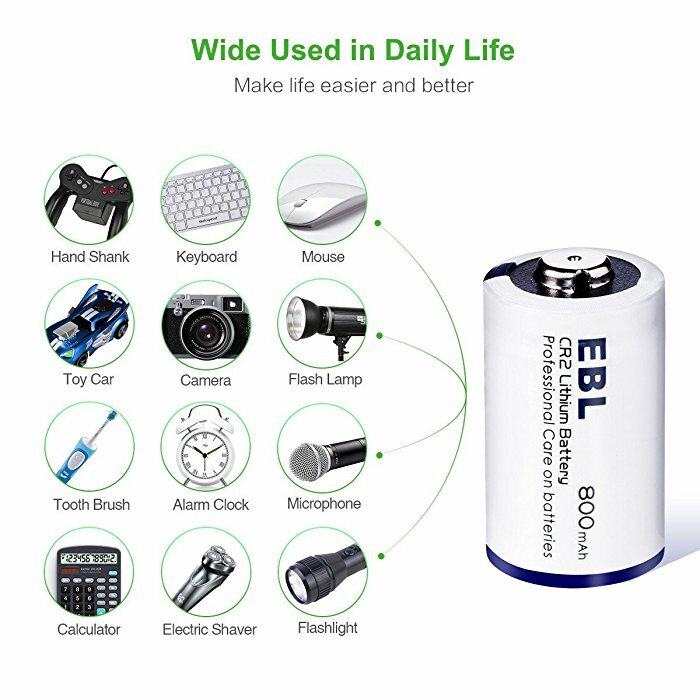 They provide long battery life with great reliability and safety. 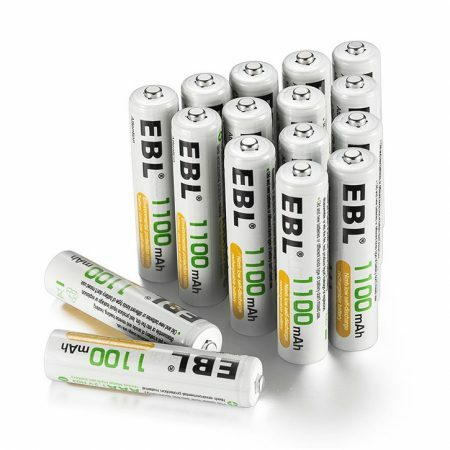 You can use these batteries for flashlight, handheld devices, light meters and more.